Bolt and Mittens High Five. High Five! Totally!. 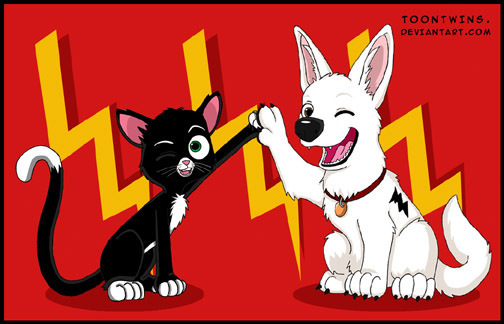 Wallpaper and background images in the bolt disney club tagged: disney bolt fan art mittens high five.